It seems like everyday a new industry is being automated and streamlined by technology. Uber did it to transportation, Wealthfront did it to investing, Netflix took care of film, even private security is being disrupted! It would be reasonable to assume that industries that are notorious for high fees, red tape, and consuming time would be the first to go. But up until 2014, when Lenda launched in California, no company had tried to take down a certain one of those industries: mortgage refinancing. 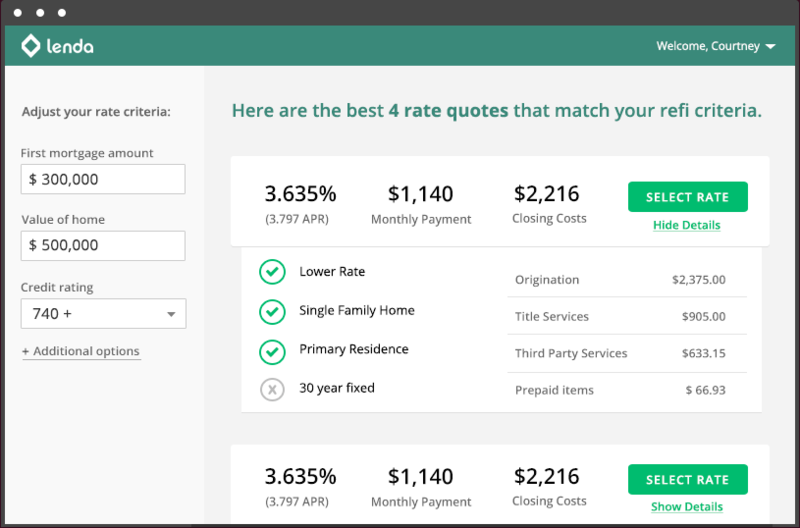 While both the interest rate and APR Lenda offers will typically be between 0.12%-0.25% less than traditional mortgage brokers, customers see the majority of money saved on closing costs and fees, which can be as high as $10,000 if they were to use services like Quicken Loans. On top of money, Lenda saves users time by cutting through the red tape and other time-consuming activities that were once necessary to get a home refinanced. Because it’s all done online, paperwork and trips to the bank are made unnecessary, meaning customers can close a loan 3x faster than if they worked with a broker. The most important thing for people to understand, according to van den Brand, is that home refinancing, and Lenda specifically, works over time. In other words, it’s a process of delayed gratification, which has a tendency to challenge the modern American (ironically due to how quickly technology can get things done). With this in mind, Lenda will continue to adapt and hopes to soon be able to close a loan in as little as a week and eventually in as little as a day. It’s difficult to know what the future holds for Lenda but if the past has taught us anything it’s that technology companies that can make processes faster, cheaper, and easier tend to do pretty well.